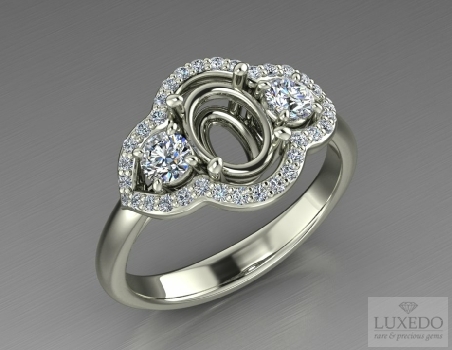 A valuable and impressive ring setting that will capture every glance. A refined outline of white diamonds frame a pair of diamonds on either side of the main gem in an elegant and charming composition. Colour lot G, clarity VS, brilliant round cut, medium very good.